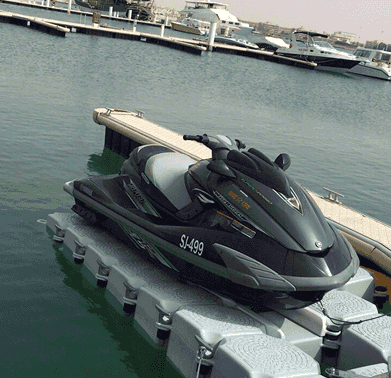 Dock your Jet-Ski on the water, yet out of the water! We can make anything float! A linking bridge for you to walk on the water! 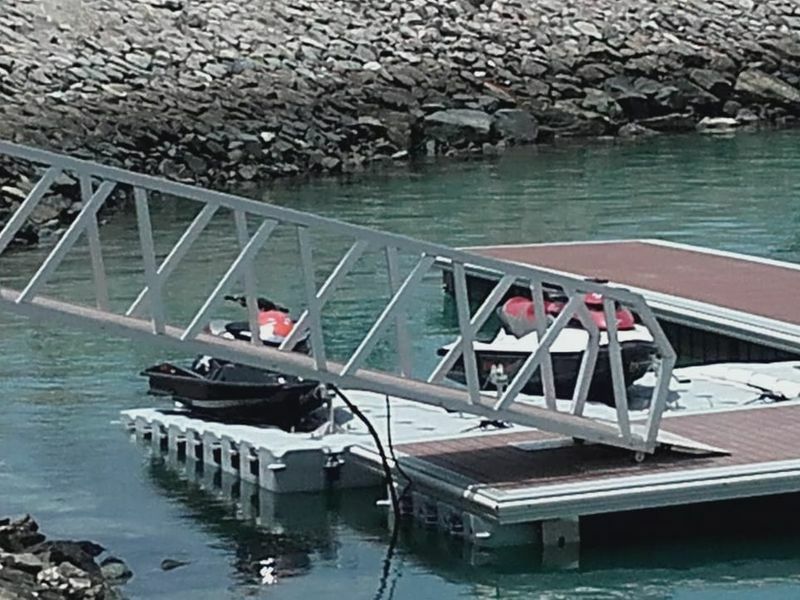 We are marine equipment suppliers in UAE and provide total solutions for all your jet boat dock from design to construction and accessories. We have ready designed modules and can also tailor-make to suit your requirements. All our products are manufactured to be of the highest quality possible, electrical and waterwork components may also be installed upon request. 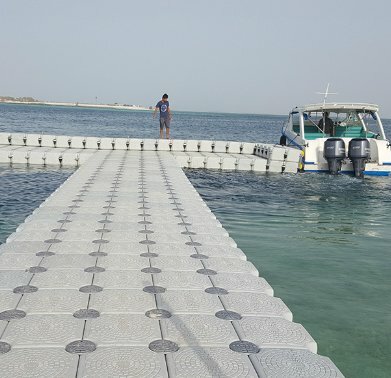 We offer a variety of unique high quality Yamaha boat dock and marine solutions as well as water sport recreational products. 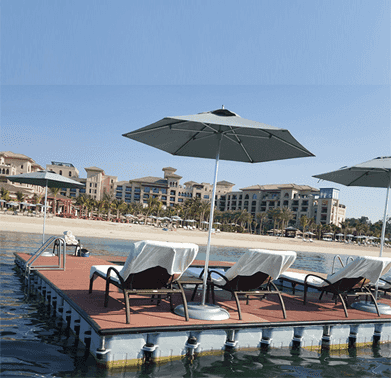 As a reputed Marine Equipment Suppliers in UAE, we bring to you top of the line marine products made using the best quality materials. Check out our features..
Anti-Skid prints on the surface so its not slippery. Also it has no sharp corners and is stable enough to walk on. Can be easily quickly installed and dismantled. 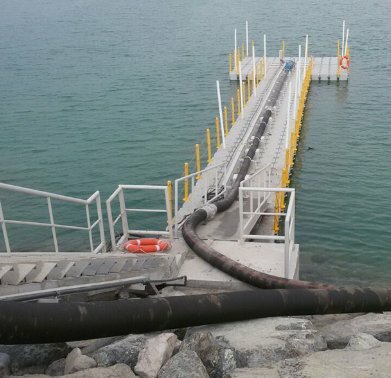 Resistant to UV rays, frost, seawater, corrosion, chemicals, and oil. 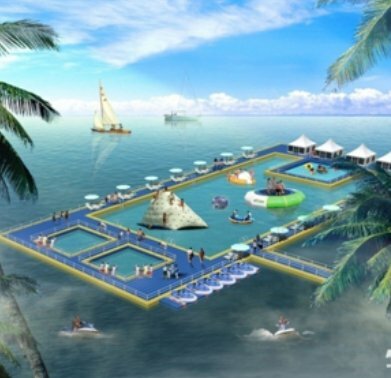 One connecting pin holds four modules together-permitting the assembly of any size and any configuration on the water and the assembly can be changed to meet the requirements. HDPE Material, 100% recyclable, environmentally friendly.